Carrying and safe shoulder position – practice carrying 4#-6# medicine balls, picking them up, hang power cleans, etc. 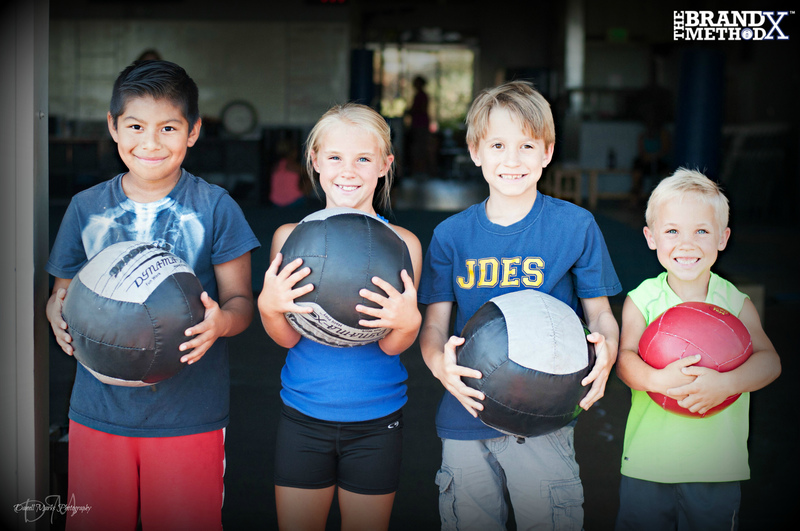 Musical Medicine Balls – Similar to musical chairs. Medicine balls are arranged in a circle. As the music plays, kids do an exercise or animal walks around bags. When the music stops, each child must find a ball to squat on. A ball is removed from the circle every round. If a child doesn’t get to a ball, he or she is out. Hold a “squat off” if there is a tie to the last ball. The two children do as many squats possible in 10 seconds. The kid with the most squats wins.